This month, Heather & I chose the theme ‘Set for Summer’ for The Everyday Spruce…But with Boo breaking so early (we’re in week two already! ), I kind of had too many thoughts & too little time to think straight. But, with this already in draft, I realised, actually; what could be more perfect than discovering how to create the epitome of summer footwear & make your own espadrilles? So, have you heard of The Makery? Created in 2008 by Kate Smith, The Makery in Bath was part of a vision to develop a creative hub where anyone could come & learn new skills & enable themselves to be more resourceful & less wasteful through mending, making, and seeing the potential of objects in a new way. The Makery’s success has grown year on year. Extending from the original Bath HQ, this year sees the launch of The Makery workshops in John Lewis, Oxford Street. A few weeks ago, I went along to meet Kate & take the ‘make your own espadrilles‘ workshop in London. I have to admit, I was abit unsure about the idea of making my own shoes, but under Kate’s expert & encouraging guidance, I thoroughly enjoyed it! It was really quite simple (even a basic machine & hand sewer like me could manage), and you can easily complete them in a couple of evenings. I even made a second pair after the workshop for Boo – bit of an admission though, I forgot the seam allowance when left to my own devices, so I actually need to remake them, hence no pics of them on, but they still look cute! I should, perhaps, have watched Kate’s brilliant ‘make your own espadrilles‘ video beforehand to remind myself of the steps! 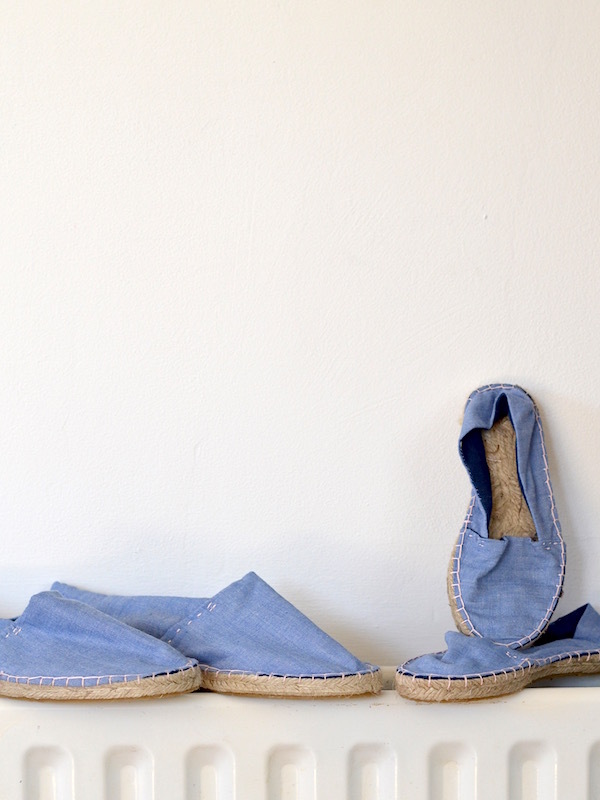 You can find out more about The Makery & the workshops on offer over on their site, and if you’d like to have a try & make your own espadrilles at home, Kate has kindly offered readers a 10% discount in The Makery store until the end of July. 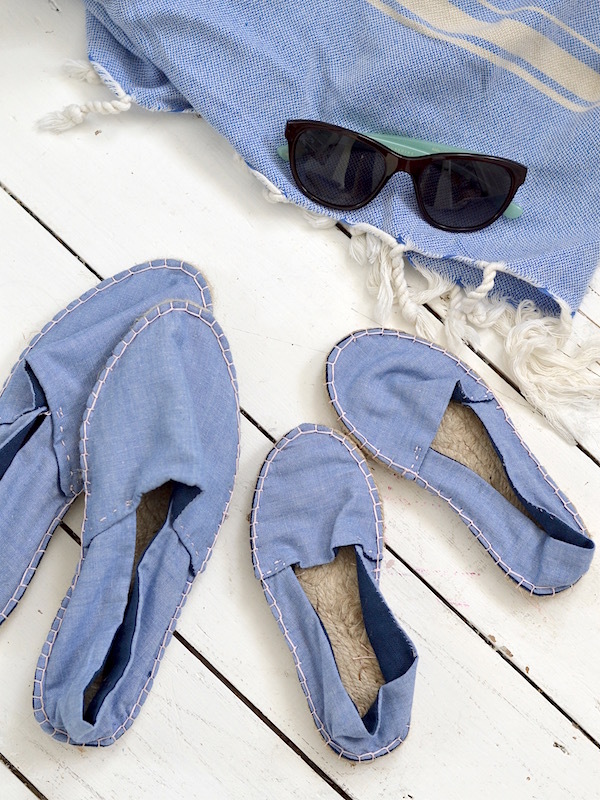 Simply enter the code lapinblu10 on checkout…you can find everything you need to make your own espadrilles right here (click). So, now your footwear is sorted, how are you getting set for summer? We’re really looking forward to seeing & sharing new posts from YOU this month, and you can find them on our Pinterest board…I’m definitely getting in some pencils after reading Heather’s brilliant post on mindful colouring & summer stressbusting! Please can you add me to your #everyday spruce mailing list ? totally inspired I have order the espadril soles…..thanks for a blog full of inspirational clarity. Wow those espadrilles are fantastic! I went to the Makery in Bath for a hen do a few months ago, and they were A-MAZING! I had no idea they were spreading their wings to London. Good news – and good shoes!